Haven't written a "What I ate today" post in a while, so here you have it. It was a kind of healthy day in my opinion. I did have about 1 1/2 kg watermelon for my first breakfast, but I forgot to snap a picture. Except my somewhat naughty treat, I ate loads of veggies and good protein. Since lunch was greek inspired and dinner thai you could say I had an international meals day. Did you eat healthy or have a cheat day today? 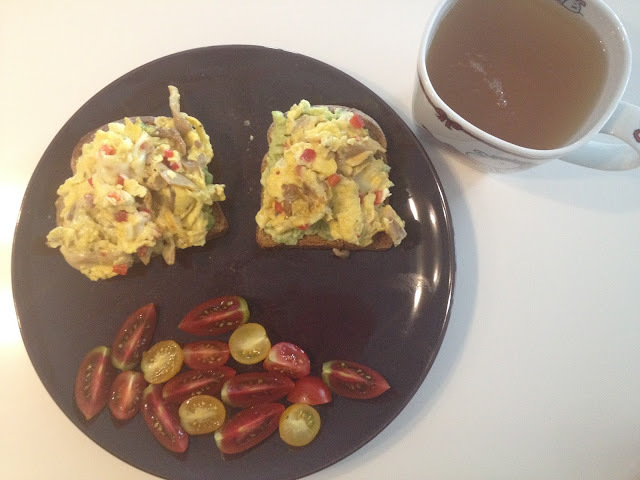 Breakfast : Mushroom & paprika scrambled eggs on avocado toast with a tomatoes and green tea. 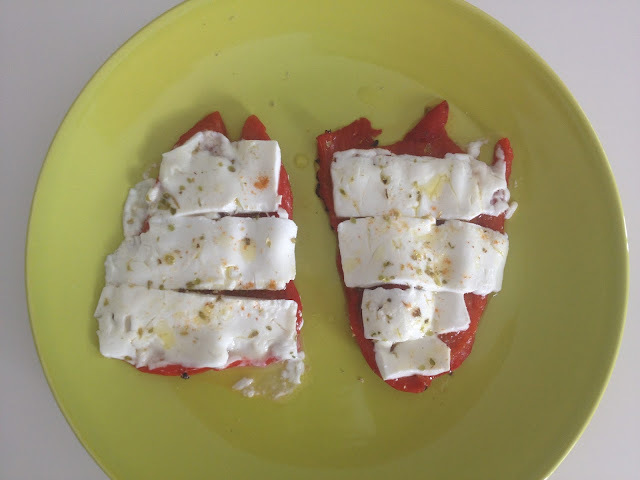 Lunch : Roasted Paprika with feta cheese, a drizzle of olive oil, oregano and cayenne pepper. Dinner : Green Thai Curry with chicken, zucchini, carrots, paprika, onion, ginger, garlic, mushrooms with whole grain rice noodles. Yummy food, love caramel ice cream and thanks for the visit.